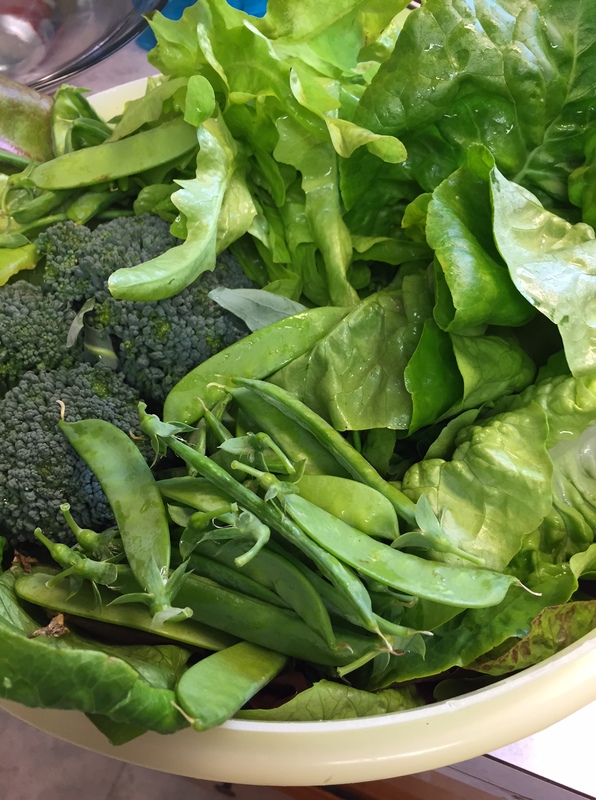 I harvested more lettuce, green onions, a little broccoli and quite a few snow peas this week. I was able to use some of the produce at the 2 parties we had, as well as in meals and was able to share lettuce. Jake and Patsy both got signed up for summer reading at the library. We checked out lots of books and they’ve already started reading towards prizes, tickets for a drawing and an end-of-the summer party. We used our zoo pass one time last week, and plan to use it again tomorrow. We had 2 birthday parties, and kept them simple and reasonable. You can read about the tea party here and the BBQ and sugar donut birthday party here. We all finished school this week, except the homeschoolers who still have to do math during the summer and take a test in July. Now, I will be working more hours with Jake and Michaela since it’s summer. This is Rob’s summer job, so he will be taking his turn often, and at times, we will both work at the same time–one of us will work with Jake and one with Michaela. We will be doing some overnights as well, when their parents are out of town. So, we are planning lots of summer fun for all the kids. We will be doing lots of frugal activities such as Kids Bowl Free, going to the park, the library summer reading, hikes, swimming at the YMCA, the zoo with our pass, picnics, etc. When we add in church activities, camps, volunteering and more that the big girls are signed up for…..whew! Patsy is getting a little older, so she has a few of those kinds of activities as well. Rob may be glad when his “vacation” is over–we’ll see:) It’s shaping up to be a fun summer. Love the photo of your garden bounty. 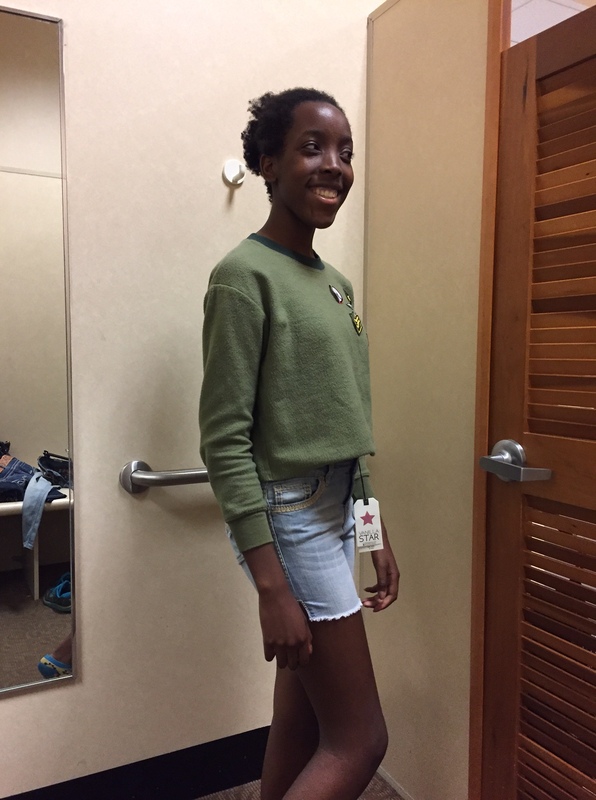 Ja’Ana is a beautiful young woman and you can just tell her is a really special person inside. I enjoyed the party pictures in the prior post as well. Sounds like your summer is hopping! I was surprised last week how busy I was. No camps this week and I hope DD can get signed up for the library program, too! We sure had a great day at the zoo today–lots of sunshine. With the crew today, we moved V-E-R-Y slowly, and didn’t even see as much as we did the other day with a 3 year old:) BUT, we had a blast! Good thing we have a pass–we’ll get to go back another day. We’ll see if Rob can keep up with you and the kids this summer. You’re right. He may be glad to go back to work.